That being said, we have a few ground rules that we ask people to adhere to in order to make this community a positive and safer place for all. Participation is a privilege. The San Diego Collaborative Arts Project (“SDCAP”), which is fiscally and legally responsible for Youtopia and CoLab, expects leadership, volunteers, and attendees to create and maintain a space that is welcoming for all ticketed attendees and community members. Continued attendance to community events or spaces can be revoked if a participant or volunteer fails to respect others or behaves in a way that endangers themselves, the event, or the broader community. By participating in SDCAP events and spaces, you are agreeing to abide by this Community Code of Conduct. This applies to all events and spaces managed by SDCAP, including Youtopia, CoLab, and may include other community activities or ongoing events. This also includes the mailing lists and social media accounts which the community uses for communication. Violations of this code outside these spaces may also affect a person’s ability to participate within them. Possession of an open container by driver of motorized or Mutant Vehicle. The use of illegal drugs is not condoned at any SDCAP Event – do not bring illegal substances or paraphernalia to any SDCAP Event. Possession or consumption of alcohol or marijuana by participants under 21 years of age. SD CoLab is a community build and event space intended for networking and collaboration in the Burning Man community, providing a useful and comfortable place to hold meetings, organize events, and build art projects. We value the participation of each attendee and want everyone to have an enjoyable and fulfilling experience. Accordingly, all attendees, managers, staff, visitors, artists, organizers, and volunteers are expected to show respect and courtesy to others throughout their visits, whether officially sponsored by SDCAP, YOUtopia, CoLab, or otherwise. Managers will enforce this code continually. Those asked to stop any inappropriate behavior are expected to comply immediately. If anyone engages in behavior that violates this code of conduct, the CoLab managers may take any action they deem appropriate, including warning the offender, expulsion from the build space, or barring from future attendance. CoLab has a zero-tolerance policy regarding illegal activities on site. Persons found to be engaging in any activities that are not in compliance with local, state or federal laws will be subject to immediate expulsion from the CoLab facility and unable to return to the facility for a minimum time, to be determined by the CoLab Management and/or SDCAP. Any subsequent offense may result in indefinite expulsion from participating in any and all activities or events at CoLab. Thank you for helping make this a welcoming, friendly community space for all. Social Media is an important and vibrant aspect of communication, connection, and community-building within the burning man culture. Through social media channels relating to the San Diego Burning Man community, SDCAP, YOUtopia, and CoLab, we endeavor to support and engage in civil discourse which respects every member of the community. It is critical that this discourse upholds our community principles, while allowing diverse voices to be heard. You are an ambassador for the community, and as such, we ask that you be civil. This covers SDCAP board members, managers, volunteers, event organizers, or anyone else representing SDCAP, Youtopia, or CoLab in an official capacity. Disclose your affiliation. How exactly you make this disclosure may vary depending on the circumstances and the platform, but the important thing is to make sure people reading your statement will be able to immediately identify that you are speaking in an official capacity on behalf of the organization. Remember that your posts can have a larger impact than you may have intended. Stay in your lane and speak to your own area of expertise. If clarification is needed, tag in the person who is responsible for that area. Remember the Internet is permanent. The following represents examples of behavior that are unacceptable and subject to removal or ban, by moderators’ discretion. Broadly speaking, participants and volunteers are expected to mediate their own problems. If someone asks you for help, do your best to help or find someone who can. If you want additional help, Rangers are great resources for this type of thing. Rangers are participants who volunteer a portion of their time in service of the safety and well-being of the Burning Man community. Rangers act as no n-confrontational community mediators, providers of reliable information, facilitators of public safety (with the expectation that everybody read the back of their ticket, of course! ), and navigators of the edge of chaos. Our general Conflict Resolution Protocol has more information about how to handle conflict and information about resources such as the SDCAP Ombuds at ombuds@sdcap.org. These individuals are prepared to assist participants and volunteers and listen to your concerns. All reports will remain confidential. Names (real, nicknames, and/or playa names) of any individuals involved. If there were other witnesses besides you, please try to include them as well. Your account of what occurred. If there is a publicly available record (e.g. a mailing list archive or a public social media account) please include a link. If you would like to call in law enforcement or need professional medical treatment, SDCAP will support you taking that action. If the incident is ongoing and needs to be immediately addressed, the Ranger, event lead, CoLab Manager, or SDCAP board member who received the report may take appropriate action to ensure the safety of everyone involved. If they are not physically on-site or are otherwise unable to handle Incident Response personally, they may delegate a different Ranger, event lead, CoLab Manager, or SDCAP board member to take action. Members of the San Diego Burning Man community may receive a formal warning letter, a formal suspension letter, or a ban letter from SDCAP. Individuals may be banned from attending some or all SDCAP events, barred from volunteering in some or all roles with SDCAP, and/or barred from visiting CoLab. Violating the terms within this Code of Conduct or separately stated event policies, endangering the continuation of an event, or violation of event participants’ safety. A well-substantiated report of a serious violation of SDCAP or event policies. Continued engagement in harmful behavior after receiving a warning from SDCAP about such behavior. History of prior misconduct at SDCAP events. SDCAP may also choose to issue a ban for reasons not covered in this policy and reserve the right to exclude a participant from volunteering in particular capacities or any capacity, even if there is no suspension or ban currently in place. Unacceptable behavior set forth in this Code of Conduct will not be tolerated. This includes expressions of this behavior at the San Diego Burning Man Regional Event, YOUtopia, and at the makerspace, CoLab, as well as at all other SDCAP related events and also includes all pre- or post-event conversations via phone, social media, or face to face communications. Adult guardians of participants under the age of 18 will be held responsible for the behavior and the actions of their minor children. Any participant or volunteer confronted about unacceptable behavior is expected to comply immediately. SDCAP or event organizers may take any action they deem appropriate to ensure the safety of the community. This action may include expulsion from events (without refund), revoking tickets, removing a volunteer from their shift, verbal or written warning, suspension and banning. 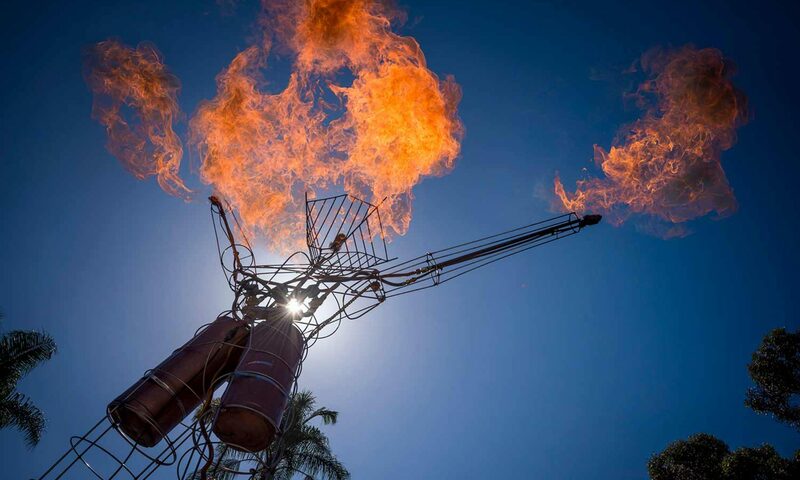 This Code of Conduct makes no attempt to determine guilt or innocence, only to rule on whether or not the participant or volunteer poses a threat to the San Diego Burning Man participants, community, or SDCAP events. This is a living document that may be updated or amended at any time by SDCAP when deemed appropriate. This is a living document and may be updated at any time.